Our parents continually tell me that the hardest part of making a daily nutritious healthy dinner is the dreaded clean up and the sheer time it takes to prepare. There are pots and pans all over the place, food on the counter, floor and sometimes even on the ceiling!! I have a solution for you… The Instant Pot! It is the new wonder small appliance that is super convenient as it reduces dishes and utensil use, enhances the flavour, locks in nutrients and best of all it saves time and effort! This revolutionary cooking appliance can be used as a pressure cooker, rice cooker, slow cooker and more but the most important is that it can make your favourite recipes up to 70% faster!! It is the perfect week night meal to prepare for your family while you’re busy chasing the kiddies around and working hard. 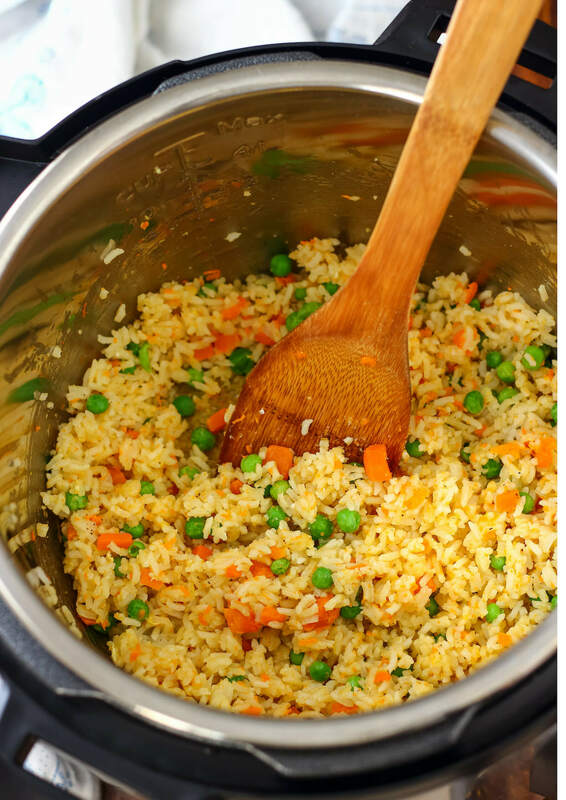 The ultimate one pot wonder contains protein, carbs, and veggie servings all in one dish! Eating a well-balanced meal is important as all the different nutrients supply the body with the energy it needs to function properly. It also helps to support growth and development. A well-balanced diet contains nutrient-rich foods from all the food groups, much like this dish, so no need to worry about side dishes! These Instant Pot meals can either be made in advance or on the spot but always remember to make extra for your lunch the next day or another meal later in the week. And the best part is, at the end of the meal you’ll only have a single pot to clean up. That’s my kind of meal! Sit back and relax and let your Instant Pot do the work.. here is a link of some delicious Instant Pot recipes for you to try at home!